Employees and guests gathered this morning in Forrest General Hospital’s main lobby for the dedication of their new grand piano hosted by The Forrest General Healthcare Foundation. “Earlier this year, the Forrest General Healthcare Foundation was approached by a donor with a vision. His idea was to have a player baby grand piano in the front lobby of Forrest General Hospital to provide soft background music welcoming all who walk through, either entering to welcome a new baby into their family, or leaving the hospital with the weight of worry for a family member or friend. To this donor, music is healing in all situations for all walks of life, and he made a generous donation in memory of his parents to share in that healing with Forrest General patients, their families, and their friends,” said Martha Dearman, executive director, Forrest General Healthcare Foundation. 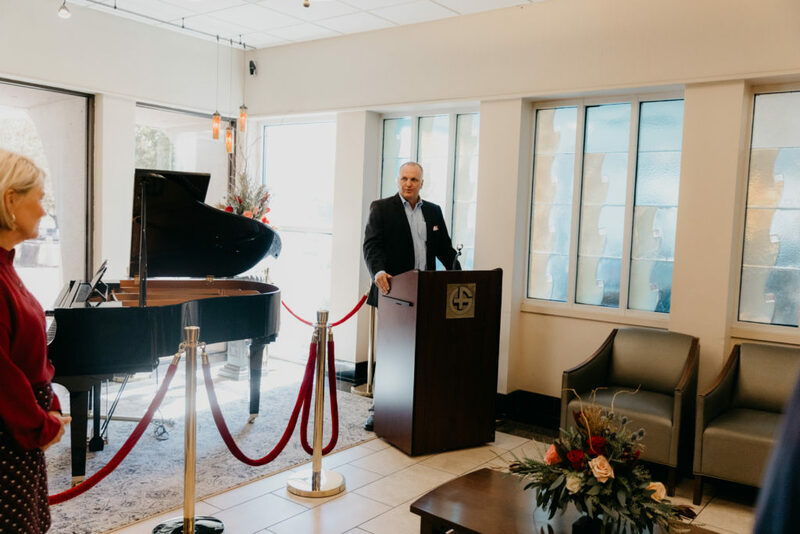 The beautiful grand piano was given as an anonymous donation to the Forrest General Healthcare Foundation to benefit patients, visitors, and hospital employees. 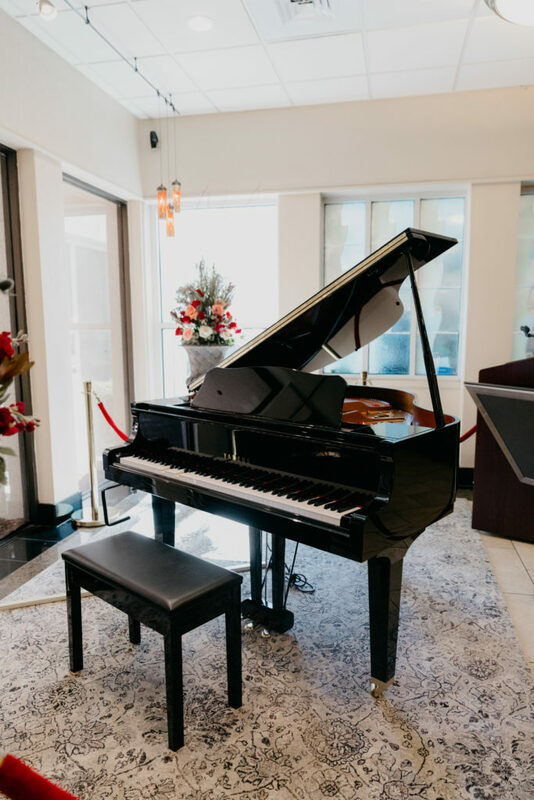 The piano will remain in the lobby permanently and will play Monday through Friday from 9 a.m. until 4 p.m.
“A simple “thank you” pales in comparison to what this donor has given our hospital. It is not always the newest medical equipment or most cutting edge technology that has an impact on our patients. Sometimes, it is a classical and timeless instrument that changes our entire day and heals all of us in ways we may not even understand,” said Dearman. CAPTION: David Fortenberry, board chair of the Forrest General Healthcare Foundation, speaking to the crowd at the dedication ceremony.